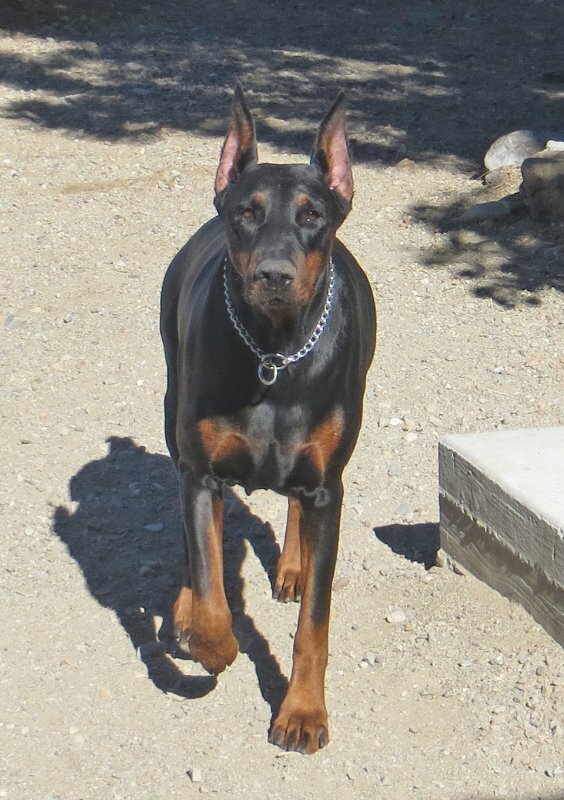 Doberman Pinschers are elegant dogs – sleek, muscular, powerful. Every inch of them speaks of grace and elegance. Unfortunately, they are often prone to a dry, crusty, uncomfortable ridge on the top their nose. Some may even have Nasal Hyperkeratosis, an extremely dry nose condition sometimes seen in Dobies. The good news is any level of dry dog nose issues can be easily treated and a healthy balance maintained with routine Nose Butter® usage. Of course your Dobie's sense of smell is their Superpower. 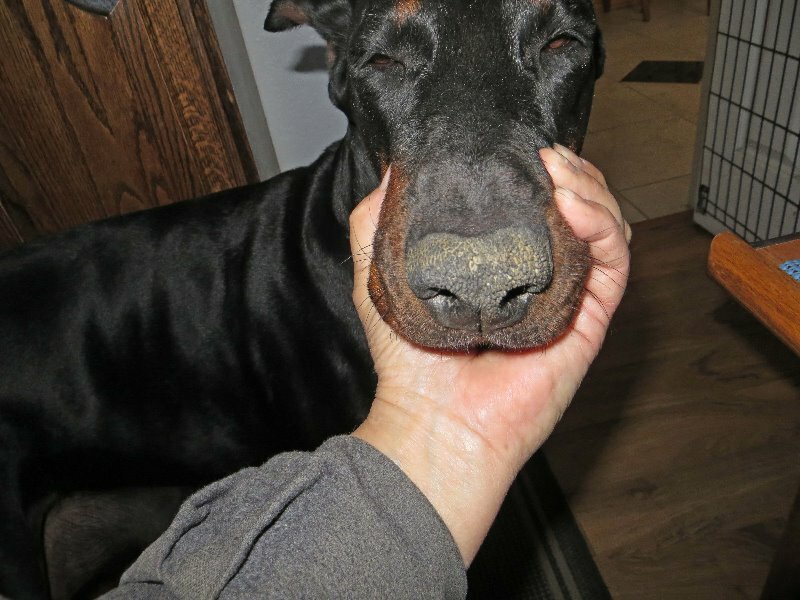 If your Dobie’s nose is dry or crusty, not only is it uncomfortable and unsightly, it can impact his ability to gather info. Not good for a quick thinking dog like a Dobie. A dry nose can only gather a fraction of the info your dog is hardwired to want and need to make quick, sound decisions. 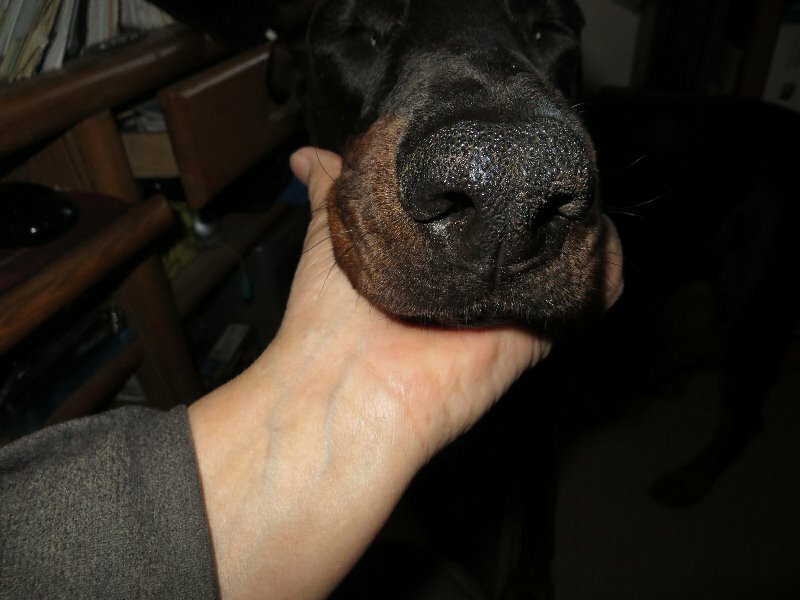 Doberman Pinscher Nose Butter® is packed full of the richest moisturizing butters and oils to control that frustrating dryness. I tried many things for his nose and nothing seems to last, I put the Nose Butter on his nose and it was the best! I only have to put it on him one time a week or less! His nose looks normal! It works... less cracking bumpy like nose. After following directions, now just use one a day. Thanks to my Facebook friends for linking me to it! DOBERMAN PINSCHER NOSE BUTTER WORKED! Love NOSE BUTTER, is working great. Have recommended this to both WI and MINN Doberman Rescue Organizations so hope you hear from them. Can't say enough good about the butter. Keep up the good work. M.P. Fast shipping- easy to use!